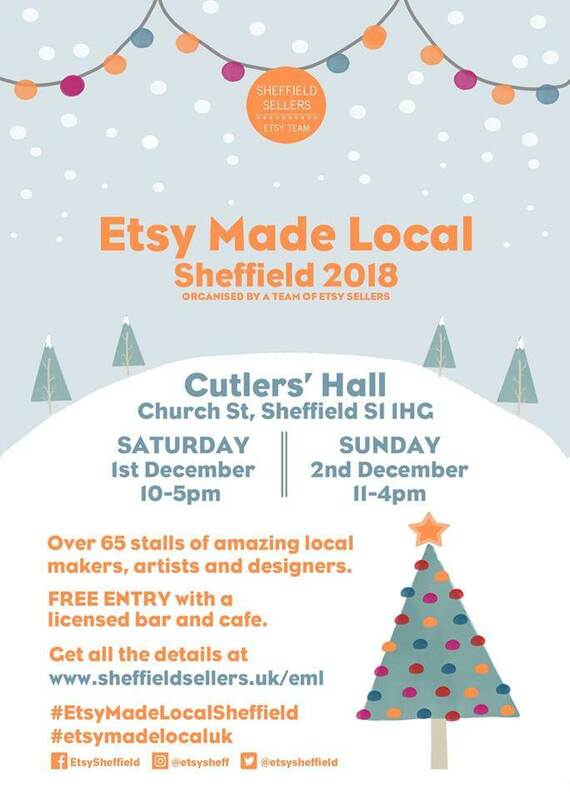 We are glad that we will be back to this year’s Etsy Made Local Sheffield on the first weekend of December. This year we will be at the Cutlers Hall again. It is a very beautiful and historical venue. It is worth a visit on its own plus the chance to see some local artistic and crafty creations. Door will be open from 10am till 5pm on Saturday 1st December and 11am till 4pm on Sunday 2nd December. The entry is free. Please come along to see us and also other local artists. It is going to be a great weekend.